New Delhi, Dec 1: Indian Navy admitted on Friday that nuclear submarine INS Chakra suffered damages a few weeks back but dispelled the rumour that some US officials were given access to the warship. Navy Chief Admiral Sunil Lanba said that INS Chakra’s SONAR dome was damaged and an inquiry has already been initiated. INS Chakra was at Visakhapatnam when its SONAR, known as the eyes and ears of a submarine in the water, suffered damages. The SONAR dome could have been damaged either at sea when INS Chakra might have hit something or while docking at Vishakhapatnam. 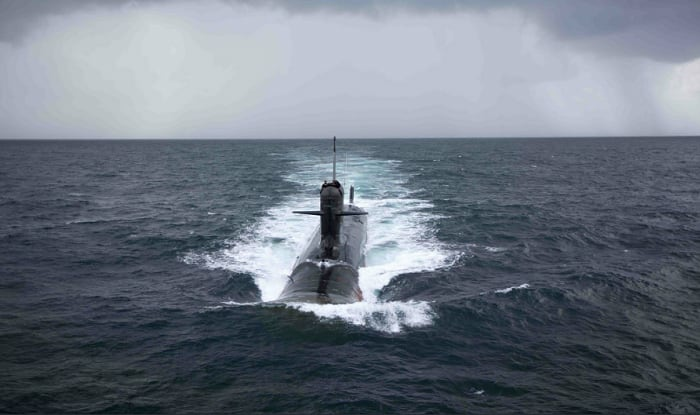 One of the stealthiest submarines in the world, INS Chakra was commissioned into the Indian Navy in April 2012 and was known as K-152 Nerpa when it was under the command of Russian Navy.